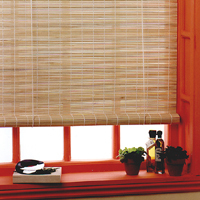 The original 'Matchstick' blind with the warmth of that natural look. Ideal and simple to face fix and comes in all sizes with a drop of 180cm. These blinds can be cut down for recess fitting. Packed in high quality shrink film with full fitting instructions.